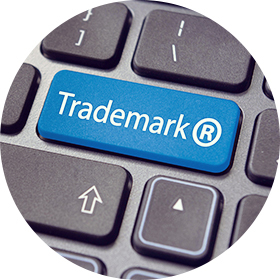 We are experienced Trademark Lawyers and can help you to Register And Protect Your Valuable IP Assets. Quite simply a trademark is your brand. A registered trademark is a legal right granted to protect the unique features that give your brand its identity. These features can include letters, numbers, words, phrases, sounds, smells, shapes and/or a logo. Even more importantly, a registered trademark is legally enforceable and gives you the right to stop others using your trademark in the categories it’s registered in. Why do I need trademark? Many business owners spend endless hours and tens of thousands of dollars developing their brand only to overlook one critical step – the protection of it. Which means that if you don’t register your trademark your competitors can. You are in a much stronger legal position to stop others from infringing your brand if you have a registered trademark. In addition, a registered trademark gives you exclusive rights to use, license and sell your brand in Australia. And remember, the more successful your business is, the more valuable your trademark is. Why Australian Professional Trademarks ? APT are committed to ensuring that protecting your brand is simple and affordable. You see, we will tell you upfront what it will cost to register your trademark with our low cost, fixed fee. Furthermore, Australian Professional Trademarks is a trusted provider of trademark search and registration services plus commercial advice. You’ll find our clients are all shapes and sizes and span a wide range of industries. From start-ups and SME’s to global corporations, we love nothing more than helping our clients protect their trademark or grow their business. At an obligation free consultation, we’ll discuss your needs and advise the best strategy for a successful registration. All you have to do is give us the green light and then we get to work. First of all we search the trademark database for possible conflicts. We’ll then assess any potential risks and determine the best strategy forward to ensure a successful trademark application. Plus, we complete all the forms and paperwork associated with lodging your application. 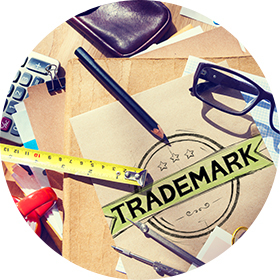 After filing, your trademark will be examined by IP Australia. If there are any problems with your application, IP Australia will provide a detailed report outlining the issues. Once your trademark has been examined and any potential issues dealt with, your trademark will be advertised. This allows third parties an opportunity to review and potentially object to your trademark. And finally, following advertising you will be the proud owner of a registered trademark – congratulations (just don’t forget to pay the renewal fees every 10 years or we’ll have to do it all over again)! For further information, enter your details and one of our experienced trademark law professionals will contact you. Remember, registering your trademark has never been easier. © 2016 Australian Professional Trademarks All Rights Reserved.